Round five of the U.S. Championship produced the most fighting chess so far at the 2011 U.S. Chess Championship and U.S. Women’s Championship. Players of the Black pieces won an astounding six games, and half of the games went into the sixth hour. Three-fourths of the games ended with a winner, and even the defending champion could not get an easy day off. GM Sam Shankland, tied with Hess in Group B going into the round, did not attain such a stable position. He entered the preparation of GM Alexander Shabalov, and for 14 moves his opponent played automatically. After accepting an exchange sacrifice, Shankland found his pieces tied down and his supposed material advantage illusory. “None of my rooks ever did anything,” Shankland said. Talking to Shabalov after the game, Shankland said, “You beat me like four games in a row with Black. It’s not fair.” Shabalov replied, “I would still trade places with you.” Shankland stays with three points, while Shabalov’s win got him to two out of five. Shabalov is still mathematically alive to finish in the top two of his group, if only barely. When asked what he has left to play for, Shabalov joked, “There’s always money!” Each place difference for the non-qualifiers is about $1,000 difference. 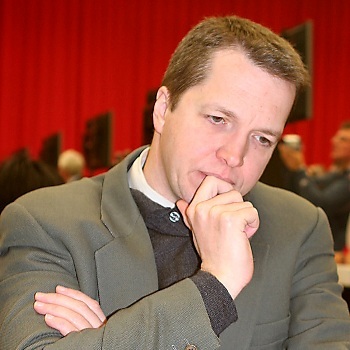 GM Larry Christiansen entered the round in sole possession of third place in the group, but he yielded that placement to GM Alexander Onischuk after losing their head-to-head battle. “I didn’t get so much from the opening even though I knew the line,” Onischuk said. Though the win puts him in third place for the time being, Onischuk was quick to explain that he has to work in the last two rounds. “Still it’s not clear if I’m going to qualify,” he said. Going into the tournament, Onischuk was a heavy favorite to be a qualifier to the semifinals. In other Group B action, GM Yasser Seirawaran recovered from a slow start to win his first game of the event by besting GM Ben Finegold after the latter willingly entered a complicated but losing king-and-pawn endgame. Finegold felt frustrated after the game. While he resigned in a losing position, he said that the variation Seirawan prepared to continue with was not the best and would have led to a draw. In Group A, both GM Yury Shulman and GM Gata Kamsky protected their lead by negotiating draws. Shulman’s draw versus good friend GM Varuzhan Akobian came without too much fuss, but Kamsky had to work for quite some time against GM Alexander Stripunksy. Kamsky closed the entire position by locking up the pawns but a determined Stripunsky fought hard to open an avenue for attack. After exhausting all resources, Stripunsky settled for a split point. Kamsky was highly critical of his own play, but both he and Shulman remain in the drivers’ seats with 3.5 out of five. 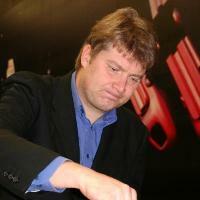 GM Ray Robson failed to catch up as his knight got ensnared on the a-file against 15-year-old IM Daniel Naroditsky. Robson extricated his knight, but at great cost, and his younger opponent eventually barreled down the edge of the board to win the game. “He defended like a tiger,” Naroditsky said. “He was down to five seconds each move but he found the best move each time.” Both Naroditsky and Robson now sit at 2.5. The even score is outstanding for the former but represents a missed opportunity for the latter. GM Alexander Ivanov and GM Jaan Ehlvest also drew their complicated queen versus two rooks ending. 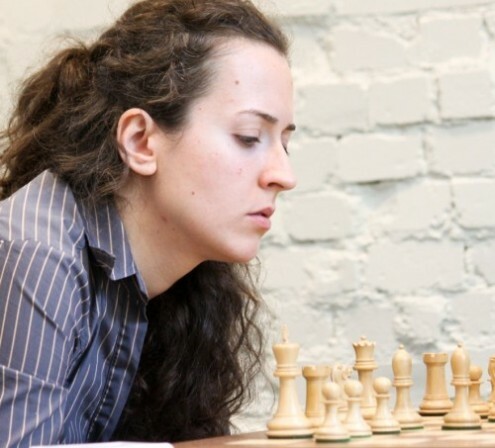 In the U.S. Women’s Championship, IM Irina Krush moved into sole possession of the lead for the first time in the tournament by winning her fourth game in a row. Krush outmaneuvered FM Alisa Melekhina in an equal ending to get to four points. Melekhina insisted she is playing well but is not finding any luck in her games. Early tournament leader WGM Sabina Foisor suffered her first hiccup of the event. She lost to IM Rusudan Goletiani, but Foisor remains tied for second place with two rounds to go. Equaling Foisor with 3.5 out of five is WFM Tatev Abrahamyan, who won for the first time ever against IM Anna Zatonskih. Despite having an extra queen, bishop, and pawn about to promote, Abrahamyan almost threw away the win. “I finally play one good game and I can’t finish it well!” she said. After her king took a long walk to the other side of the board, Abrahmyan found shelter and netted the point. Zatonskih will need to move quickly in rounds six and seven to qualify for the semifinals. WGM Camilla Baginskaite won her third game to continue to come back from an opening-round loss. Her victory over WIM Irina Zenyuk moved her to 3.5 and with a great chance to qualify. The top four women are Krush with 4/5 and then Foisor, Abrahamyan and Baginskaite with 3.5/5. In round six, the young Naroditsky will face defending champion Kamsky. Asked what his strategy was, Naroditsky joked that he would be “groveling,” a term chess players use to mean they are hoping for a draw. Christiansen will be desperate against Hess, and Shulman will try to keep place against Robson. The top four women need to do little more than to play for draws, so Zatonskih will need to find a way to win as Black against Goletiani. After winning the postponed game versus David Navara on January 1st, Alexander Morozevich took up on the leader Francisco Vallejo Pons in round five of Reggio Emilia tournament. The Spanish Grandmaster was probably surprised in the opening as he spent loads of time until the move 16. However, he managed to find a good continuation and make a draw in the endgame. Michele Godena appeared solid with white against Vassily Ivanchuk, but black was persistent and eventually broke his opponent into making a couple of dubious moves. 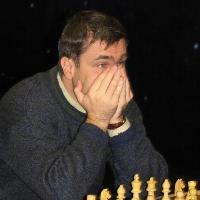 Ivanchuk wins the game and moves ahead to the second place with 3 points. The 1st Rapid “Torneo di Capodanno Reggio Emilia” was held on January 2nd with the participation of strong Italian and foreign players. The winner was WGM Yulia Kochetkova, second place was for FM Andrea Stella, a rising young Italian player, and 3rd place for Italian women Olympic player IM Olga Zimina, all with 6.5 out of 8. 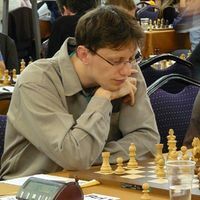 Sanan Sjugirov defeated the defending champion Peter Svidler in the fifth round of the 2009 Russian Superfinal Championship, helping Alexander Grischuk to leapfrog and take a clear first place with 3.5 points. Svidler opened with the usually reliable Caro-Kann, but something went terribly wrong and his fort broke down after only 20 moves. In the final position white has multiple threats against the weak black pawns and shaky King. Alisa Galliamova keeps the pace in the women section and wins fifth consecutive game, this time against Marina Romanko. Nadezhda Kosintseva is slowing down, and with another draw falls a full point behind the leader. Ttaiana Kosintseva surges forward, Romanko and Stepovaia are firmly tied to the bottom of the crosstable. Follow the games live on the official website. English Grandmaster Nigel Short convincingly won his second trophy at the Sigeman Co Chess Tournament, full point and a half ahead of the second placed IM Nils Grandelius. What makes his win even more significant is that the tournament consisted of only five games. Going back to the first round report by GM Stellan Brynell, we read – “In today’s edition of Sydsvenskan, the biggest newspaper in southern Sweden, Lars Grahn noted that during the opening ceremony Nigel Short mentioned that if he played a single lifeless draw during the five rounds, the organisers should have the right to demand that the starting fee be paid back”. Short kept his promise. To the delight of the local audience, second place goes to 16-years old Swedish hope IM Nils Grandelius. 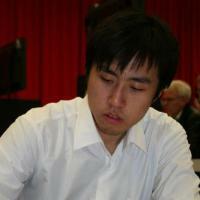 He played extremely well and signed wins against top Grandmasters Ivan Sokolov and Emanuel Berg. Tomi Nybäck of Finland pulled a nice win in the final round to reach 50% score and shared third place. IM Melia Salome won the Georgian derby against GM Nana Dzagnidze in yesterday’s round of the European Women Chess Championship to break through to the top four. Dzagnidze enjoyed some advantage with White pieces and probably missed a better continuation while Salome was trying to redeploy the passive Bishop. 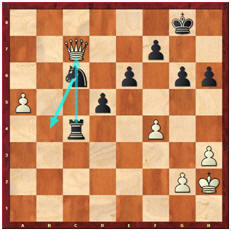 Another inaccuracy, probably in time trouble, allowed Black to capture a vital pawn and then ruthlessly convert the material into full point. Lilit Mkrtchian made a good appearance from the Black side of the Caro-Kan to enter the leading pack. Grandmasters Hoang Thanh Trang and Monika Socko played an exciting game on the top board, but Black had a good counterplay after the Trompovsky opening and final draw was a fair result. Also take note of GM Arakhamia-Grant’s brilliant attack against IM Sopio Gvetadze (game bellow). 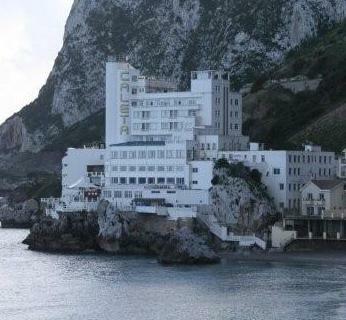 The British Overseas Territory of Gibraltar is steeped in history – much of it military. 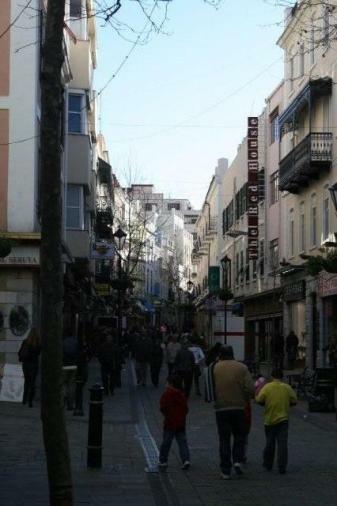 The name Gibraltar comes from the Arabic name Jabal Tāriq meaning “mountain of Tariq” named after the Berber Umayyad general Tariq ibn-Ziyad who led the initial Moorish incursion into the Iberia peninsular in 711. The Battle of Gibraltar occurred in 1607 during the 80 years war, which saw the entire Spanish fleet destroyed by the Dutch in a little over 4 hours. Then, in 1704 during the War of the Spanish Succession British and Dutch troops captured The Rock in the name of the Hapsburg claimant to the throne, Archduke Charles. 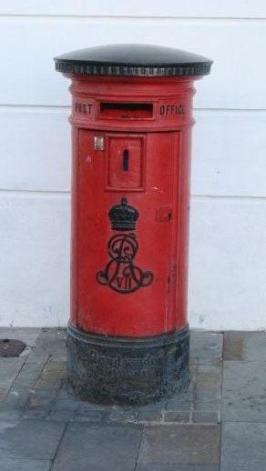 However, Gibraltar was eventually ceded to Britain by the Treaty of Utrecht in 1713 – and has remained in British hands ever since. 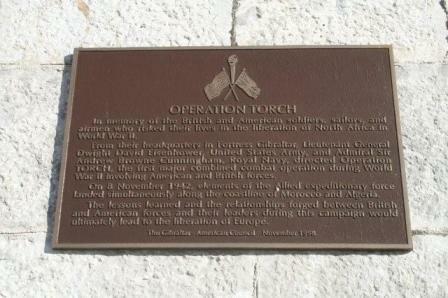 Since then, Gibraltar has been the subject of many sieges but it’s geography makes its military capture difficult. Indeed, The Rock was vital to the Allies Mediterranean and North African campaign in the second world war. The Axis plans to take The Rock, codenamed Operation Felix, never came to fruition. So perhaps it is fitting that a fighting game such as chess should find a home in Gibraltar – I’m sure that many players wish their defences were as impenetrable as The Rocks! There are no players left on maximum points after Vasilios Kotronias drew with Michael Roiz. But this was no “Grandmaster” draw as peace only broke out after 76 moves. Slovenian GM Alexander Beliavsky joined Kotronias in the lead on 4½/5 by defeating Nana Dzagnidze by proving that his bishop was better than her knight in the endgame. There are no less than 12 players just half a point behind the leaders. Joining Roiz on 4/5 are Socko and Gashimov (draw in 30) and Golod and Avrukh (draw in 77). 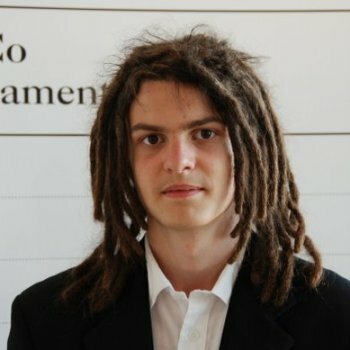 And on board 10, the highest rated Swedish player, GM Emmanuel Berg (2606), scored a comfortable win against Theo Hommeles (2410) of the Netherlands. 1.e4 c5 2.Nf3 Nc6 3.d4 cxd4 4.Nxd4 Nf6 5.Nc3 d6 6.Bg5 e6 7.Qd2 The Richter/Rauzer Attack. 7…a6 8.0–0–0 Bd7 9.f3 b5 10.Nxc6 Bxc6 11.Ne2 Rc8 12.Nd4 Bb7 13.Kb1 Be7 14.h4 h6 15.Be3 Nd7 16.g4 Ne5 17.Be2 Bxh4?! Two boards farther down, two of the strongest women players, GM Pia Cramling (2548) of Sweden and IM Jovanka Houska (2392) of England were locked in a titanic struggle which saw the following position appear after White’s 47th move. Peter Svidler won nicely against Mikhail Gurevich, whilst French GM Arnaud Hauchard will no doubt be delighted to have defeated reigning champ Hikaru Nakamura. GM Berkes and GM Del Rio also won to complete the twelve on 4/5. 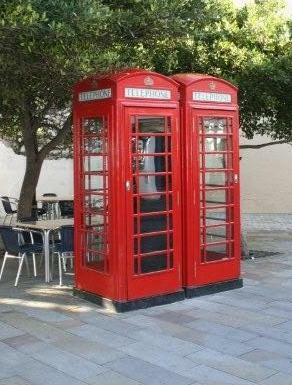 Some things in Gibraltar have a distinctly British look! Report compiled by Sean Hewitt and John Saunders with games annotated by Sunil Weeramantry. Alexander Morozevich drew Alexei Shirov yesterday and retained the lead after the fifth round of Mikhail Tal Memorial. Ruslan Ponomariov moves up on the crosstable after scoring a fine win against Peter Leko’s Marshall Attack. Pono employed a “naive” 18. Bc2, which apparently drops the pressure along the a2-g8 diagonal and allows easy f5-f4 for Black. This is exactly what Leko tried to do, but White gave a pawn back to exchange the Queens. 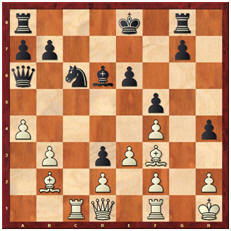 In spite of White’s pair of Bishops, Leko was probably holding even before missing powerful 34. Rf1! after which Black position collapses. 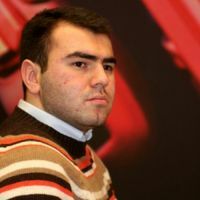 Azeri star Shakhriyar Mamedyarov mentioned on a couple of occasions that opening repertoire with Black is his weakest point. Against Gata Kamsky, however, he reached a perfectly playable Sheveningen Sicilian without problems. At one point, Kamsky went for enterprising 21. Bg7!? instead of regular 21. 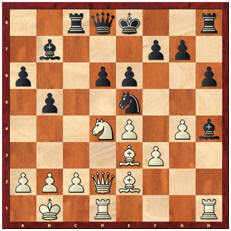 Bc3, but the problem was that Black is not forced to take the Bishop. Mamedyarov seized the advantage with correct 21…Bxc2! and converted later into full point. Wednesday (14 CET): Live game commentary by GM Vladimir Dimitrov and live blog with the Chessdom team in Sofia. See you there! Levon Aronian tried to keep Vassily Ivanchuk’s king in the center by sacrificing a pawn but it hit him back in the head because the beautifully placed black Queen was destroying white’s pieces’ coordination. The last resort was to try and give up a Bishop to collect some queenside pawns. Ivanchuk then transposed to the position where he had two Rooks and a Bishop against white’s lonely Queen, and once the black King reached safety, Aronian was forced to resign. 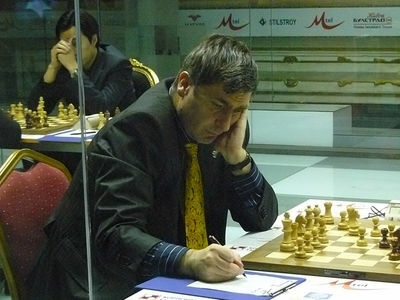 Ivanchuk won all games in the first half of the Mtel Masters, leaving the 2nd placed Topalov 1.5 points behind. Veselin Topalov was in great mood today and simply blasted Bu Xiangzhi off the board after black made a few inaccuracies in the Slav defence. 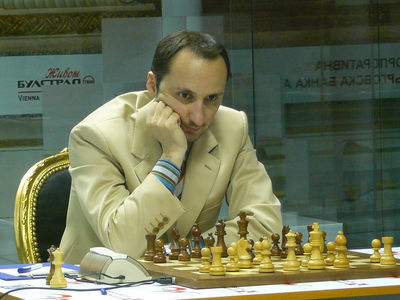 Topalov is now 2nd with 3.5 points, point and a half behind Ivanchuk, but with same distance ahead of rest of the field. 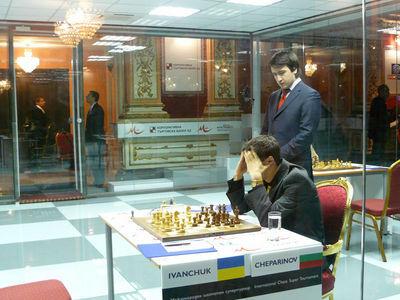 Ivan Cheparinov – Teimour Radjabov finished in a draw with perpetual check, since black successfully defended in the bayonet variation of the King’s Indian defence. More news coming in today, FIDE once again extended the deadline to receive bids for Kamsky – Topalov WCC semi-final match. 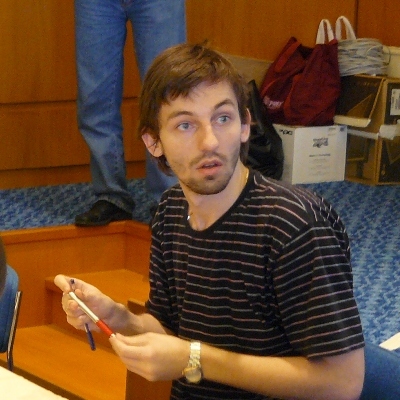 Round 5 of the 2008 Gausdal Classics’ GM-group A saw the substitution on the top as earlier leader Chanda Sandipan lost to Kjetil Lie, while Gregory Kaidanov gradually outplayed Øystein Hole from slightly better endgame to earn a full point. GM Lie was inspired to attack on the Sheveningen Sicilian and clinched the win with a pretty final attack, see the game bellow. GM Gopal started aggressively with black, even sacrificing a pawn in order to give more air to the pair of bishops, but GM Macieja never lost the control and was able to make a draw. Eric Moscow persistently defended slightly weaker endgame against IM Krush to finally reach a deserved draw. 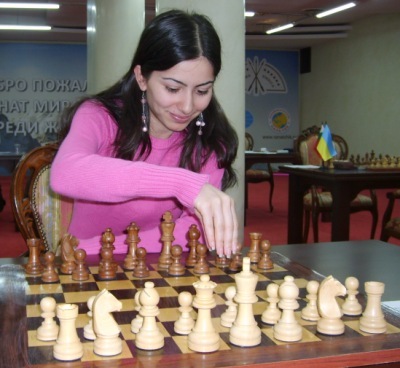 Irina Krush now has to score 3 points out of four remaining games in order to obtain GM norm. More Gausdal Classics coverage on the official website. Ural are firmly holding the lead after five rounds following their win in the derby match against Economist 1. It wasn’t all easy though, Teimour Radjabov beat Evgeny Alexeev but Gata Kamsky lost to Pavel Eljanov. Alexei Dreev brings the key point in the longest game on the 6th board. Finally one decided game among the participants of the forthcoming FIDE Grand Prix, Peter Svidler broke Boris Gelfand’s Petroff defence to lead Finek Gazprom in the demolition of Moscow “64″. Vugar Gashimov was also successful and his win made the difference that rose Shatar Buryatia to the 2nd place in the crosstable. 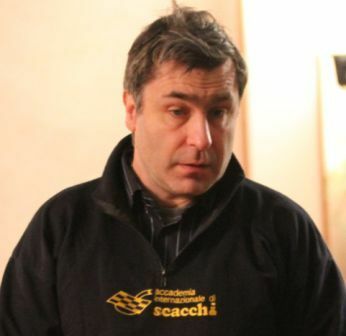 Vassily Ivanchuk wins Ukrainian derby against Ruslan Ponomariov and Alexander Morozevich forced legendary Anatoly Karpov to resignation way after the 100th move. 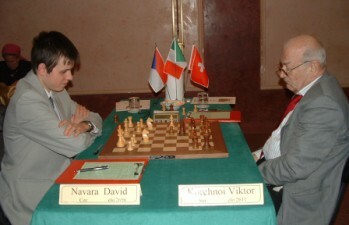 David Navara started to move forward after beating legendary Viktor Korchnoi in the fifth round. From the White side of the Tarash line in French defence, which Korchnoi knows better than his own backyard, Navara gained strong initiative on the kingside after Black’s sloppy Kf8-Kg8. Striking 28. c4!! marked the decisive advantage for Navara, who quickly finished game with couple of accurately calculated blows. Mihail Marin employed rare 10…g6 in the Open Ruy Lopez against Zoltan Almasi. Curiously, Viktor Korchnoi already played this against Anatoly Karpov in their 1978 WCh match, but also against Almasi on 2002. Almasi deviated from this game with 12. Nd4, but Marin replied with new move Qd7. However, resulting structural damage, combined with the weakness on c6, proved to be too much for Marin and he was forced to give over right before the time control. Ni Hua steadily increased space advantage against Sergey Tiviakov’s Scandinavian defence to finally reach a positive transformation in the pawn structure. Concentrated heavy pieces on the kingside allowed cute sacrifice 36. Rxg7 to force Black’s resignation. Ibragim Khamrakulov was the only one to score a win in the 5th round of Ciudad de Pamplona and reach 50% score. On the Black side of Queen’s Indian against Alexander Beliavsky, and in virtually harmless position, Khamrakulov played a squence of resolute moves (15…Qc8, 16…Bb4, 17…Qe8!) to grab the initiative. Beliavsky didn’t defend precisely and was forced to resign on 27th move. The game between Baadur Jobava and Maxim Rodstein will attract plenty of attention from opening theoriticians. 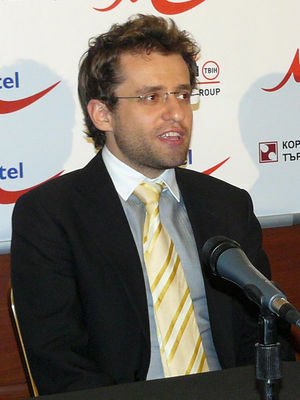 Rodstein defended in Semi-Slav Botvinnik variation in which even Kramnik and Topalov were defeated. Fierce tactical battle emerged after Jobava improved the line with 21. Rfc1. 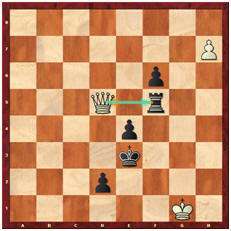 At the end of the day, Rodstein forced perpetual check in the Queens endgame. 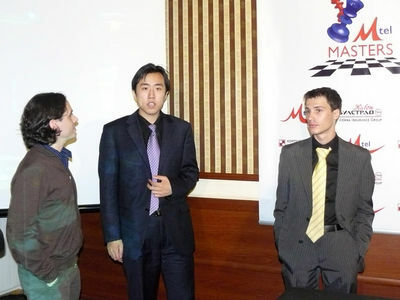 Gabriel Sargissian – Wang Yue and Sergei Movsesian – Francisco Vallejo Pons also finished in draws. Vallejo Pons is leading the race with 3.5 points after five rounds, Gabriel Sargissian is knocked on the bottom end with 1.5, while all the others are standing in the middle with 2.5. Vladimir Kramnik beautifully converted microscopic advantage in the Knights endgame against Alexei Shirov to take the sole lead after five rounds of Tal Memorial 2007. Other game were drawn, but not without fireworks. Dmitry Jakovenko tried to attack someone for the first time, but Peter Leko is not only ultra-solid defender, he’s also capable of counterattack. Jakovenko still managed to save a draw after employing some imagination. Gata Kamsky handled Chebanenko Slav defence without prejudice and played active in the center to slowly exchange pieces for slightly better endgame. It seemed like his Bishop will outpower Evgeny Alexeev’s Knight, still white Rook and pawn mass allowed him to escape with a draw. Shakhriyar Mamedyarov and Boris Gelfand engaged in a popular line of Meran defence that was wildly explored in early 90′s. Timely exchange sacrifice allowed Gelfand to take a central pawn and achieve wonderful activity. Mamedyarov captured less important b-pawn, but his Rooks were lacking open files and he had to agree on moves repetition. Magnus Carlsen could have been a bit over-aggressive in Sveshnikov Sicilian and that can be dangerous against a player like Vassily Ivanchuk. White won a pawn and transefered into Queens and Bishops endgame. Nevertheless, Carlsen defended tenaciously and managed to achieve perpetual check being two pawns down. Anand plays his first game for OSC Baden-Baden e.V. With every round the European Club Cup chess championship get more and more exciting. Round 5 saw three top derbies and one “local”. Besides, on board 1 for OSC Baden-Baden e.V. entered the world champion Viswanathan Anand. The current leaders Alkaloid had a difficult match against the gaining speed Linex Magic – Merida. 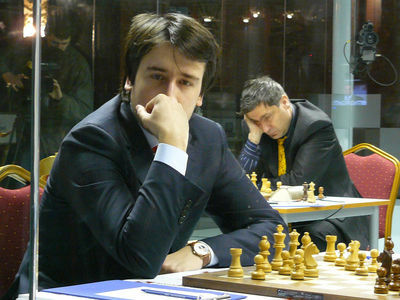 On board one the clashed was a flashback of the Mtel Masters 2007 – Mamedyarov – Kamsky. Mamedyarov was building his way to victory move by move. Kamsky was defending well in a difficult position until the endgame where he seemed to be giving his pawns away and was totally outplayed by Mamedyarov. However, that could not help Alkaloid, since Linex proved to be really magical. Michael Adams defeated Kiril Georgiev, Rublevsky did not have any problem against Volkov, GM	Cheparinov won against GM	Nedev and IM Candelario Manuel Perez defeated yet another GM – Dragoljub Jacimovic. 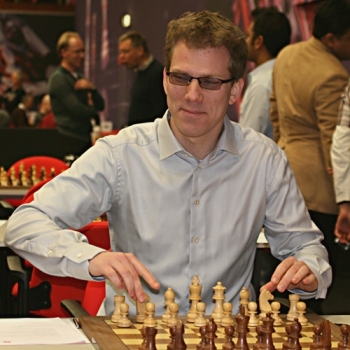 GM	Sargissian could not get the victory against GM	Kozul, but eben in that case Linex Magic – Merida won the match 1½:4½. The second seeded Ural Sverdlovskaya took on the solid team of Ashdod City Club. Board 1 clash between Teimour Radjabov and Pavel Eljanov finished a draw. WCC participant Alexander Grischuk had no problems against Boris Avrukh, and GM	Shirov and GM	Dreev gave the convincing 4½:1½ victory to Ural Sverdlovskaya. This makes the team first in the current standings, with the same points as Linex Magic – Merida and Tomsk, but better tiebreak. The 200+ average ELO difference counted for Tomsk-400 as they passed over 1. Novoborsky SK. Tomsk won on all boards, it 2 match points, 6 game points, and second place in the current standings. All eyes were set on OSC Baden-Baden e.V. – Cannes Echecs, where the World Champion Viswanathan Anand appeared on board 1 for the German team. 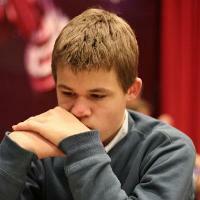 He played with Kazhgaleyev (ELO 2599) and finished a draw in 22 moves. This draw theoretically substracts 3 points from Anand’s rating and brings him under 2800. However, there is a lot of time until the next rating list update. OSC Baden-Baden e.V did not have any problems, even though the top three boards (Anand, Svidler, and Carlsen) were held to draws. GM	Bacrot, GM	Nisipeanu, and GM	Nielsen had no problems and the match finished 4½:1½. Round 5 of the European Club Cup had a strong “local” derbies. Chess Club Zeljeznicar Sarajevo (board 1 Predrag Nikolic) met the 4th seeded Bosna Sarajevo (board 1 Vassily Ivanchuk). Even though the games were very exciting, there was no surprise and Bosna Sarajevo won 1,5:4,5. Beloved Semi-Slav didn’t help Alexander Onischuk against Magnus Carlsen’s inspired play. Norwegian bravely bolted b7 pawn and with series of unique moves, particularly nice was 29.b4 and 30. a4, took the full point. This leaves him in an early lead, full point ahead of competition. Once again, Bu Xiangzhi annoyed his opponent by spinning the Queen along the “a” and “b” files. Prior to that, Motylev tried pawn sacrifice, but it didn’t work well and he suffered 2nd consecutive defeat. Other games were drawn without too much happening. 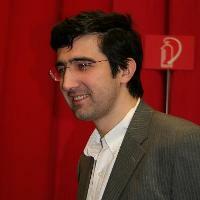 World Champion Vladimir Kramnik is on a good way to win his 8th Dortmund Sparkassen. Currently he is leading with 3.5 points out of 5, with “easy” schedule in the remaining two rounds. 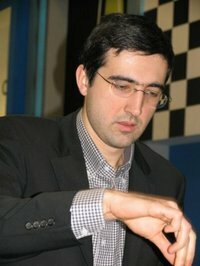 Kramnik will face Arkadij Naiditsch, whom he beat at the last-year Olympiad, in round 6 with White pieces. Last round he is playing Black against Russian champion Evgeny Alexeev. The two have never played before. Viswanathan Anand and Evgeny Alekseev, who just saved tough position against Naiditsch in 5th round, are half point behind Kramnik. Dortmund Chess Meeting goes as expected, with only five decided games out of 20 played. The main problem is obviously the clumsy 8-player single round-robin, where players are not eager to take too much risk. Chessvibes has videos and interviews from Dortmund.